A circus show like no other where our young artists re-interpret your favorite sports – circus style. Juggling, Acrobatics, Stilt Dancing, Balancing Feats and more. 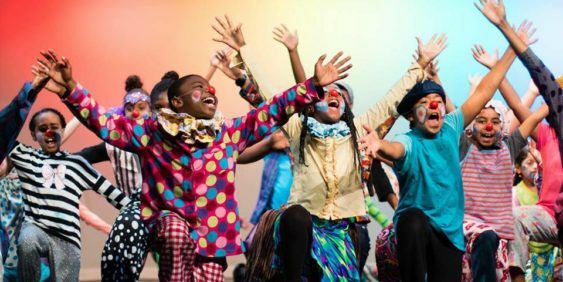 Featuring Oakland youth ages 8 – 16 from the Prescott Circus Performance Company from Prescott Elementary School in West Oakland and students from PCT’s after school programs at Lafayette/Martin Luther King, Manzanita Community, Parker, Piedmont Avenue Elementary, and Sankofa Academy. With the Oakland Spirit Orchestra (OSO), a youth orchestra composed of elementary, middle, and high school students from over 5 West Oakland public schools.